SAO PAULO (Reuters) – U.S. agricultural machine maker AGCO Corp said on Tuesday it would launch its flagship Fendt line of equipment in Brazil later this year, targeting large soybean farmers in the vast center-west region. AGCO will first bring the German-made line of Fendt Vario high-power tractors to Brazil’s grain heartland, the company’s South America chief Luís Felli said at a presentation in Sao Paulo. Next year AGCO plans to launch sales of Fendt’s biggest-yet planters and harvesters that will be produced in two plants in Brazil, looking to lure the largest-scale farming groups, he said. Felli said most items were designed in Brazil specifically for the needs of grain producers in the center-west states such as Mato Grosso and Goiás, where much of the country’s soybean and corn is produced. “Everybody nowadays wants to produce two crops per year in Brazil. The windows for harvesting and planting are small. You need to gain speed, and these equipment will give you speed,” he said. Fendt South America division will be headquartered in Sorriso, right along at the key BR-163 grain-shipping road, in the northern part of Mato Grosso state. It will sell 40-line planters that carry seeds and fertilizer and can be folded to be transported to other areas. “The largest planters of that kind until today had 17 lines, so this could make a big difference in a large farm,” Felli said. According to him, if conditions are right, precision planters could go as fast as 12 kilometers per hour (km/h) in the field, compared to 5 km/h for a conventional planter. AGCO will also sell Fendt harvesters with up to 50-feet long platforms and internal storage for as much as 220 60-kg bags of soybeans (485 bushels). Felli says Brazil has at least 10,000 farmers with 5,000 hectares or more each, a large scale farming not seen anywhere else, boosting sales potential for large, powerful machinery. 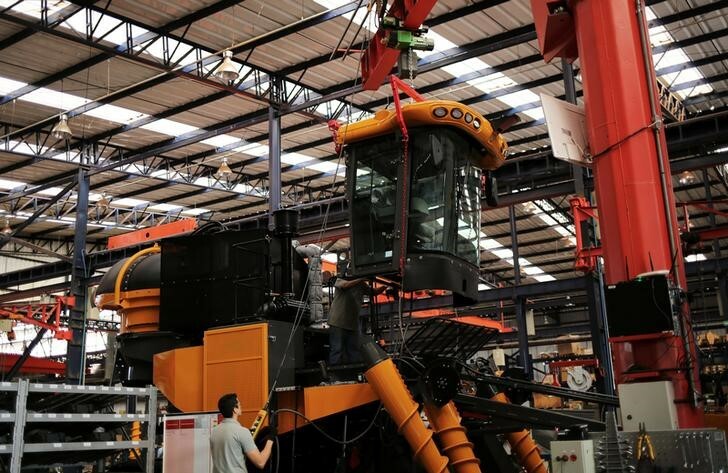 The company has invested 150 million reais ($38.30 million) so far to bring the Fendt line to South America. Costa Rica: a New Ecological Paradise or a Concealed Dependence on Oil?